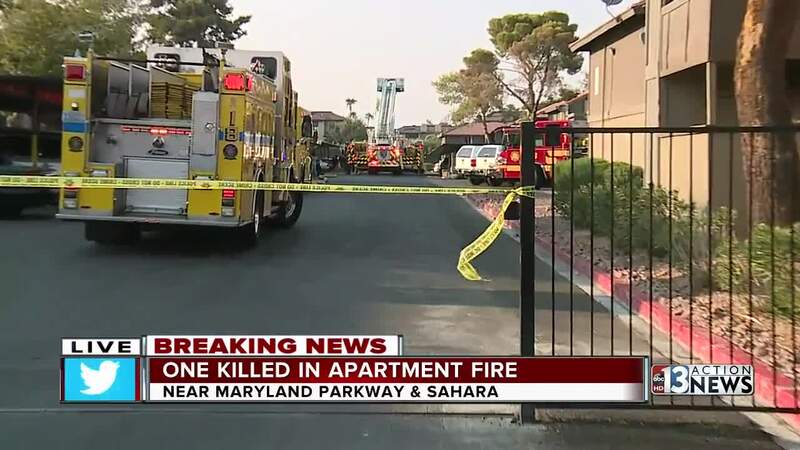 A young woman was killed when an apartment building went up in flames. Austin Carter reports. 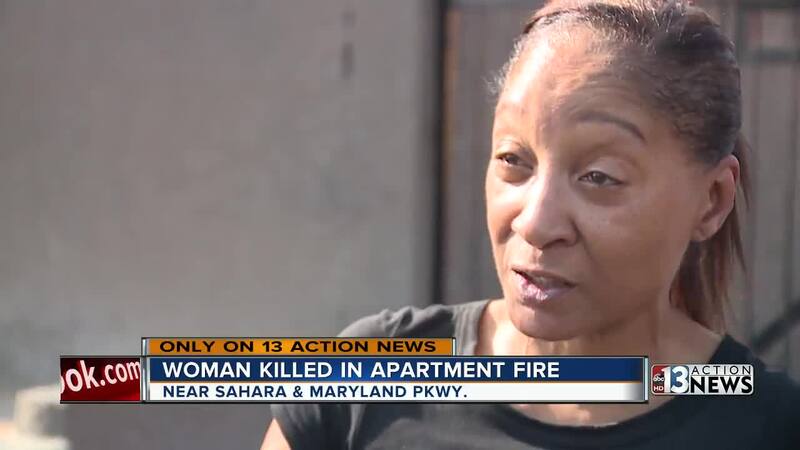 A woman has been found dead in an apartment building that caught fire on Sunday afternoon. The two-alarm fire happened at the Solaire Apartment complex at 1750 Karen Ave. near Sahara Avenue and Maryland Parkway. It began around 3:30 p.m. According to the fire department, the fire resulted in the building’s roof collapsing. The building was completely destroyed. The firefight turned into a rescue mission for fire crews after a portion of the roof collapsed onto the second floor. Sibyl Williams, who lived in the building, ran out before the roof came down. Williams says most of the people inside were able to escape. She says her neighbor’s daughter made it out, later ran back into the burning building and wasn’t seen again. Other neighbors at the scene felt waves of frustration, but also hope that they can get through this tragedy as one. “When something like this happens, everyone comes together, shouldn’t nobody go through something like this,” says Cynthia Clay. The Clark County coroner identified the woman killed as 26-year-old Myriam Hernandez Estrada of Las Vegas. She died of thermal injuries and inhalation of products of combustion. It is unknown at this time what started the fire or how many people are displaced.